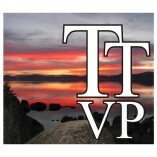 Tahoe Truckee Vacation Properties offers Vacation and Ski Lease Rentals in beautiful Truckee, and North Lake Tahoe. Customers are overall happy with Tahoe Truckee Vacation Properties. Tahoe Truckee Vacation Properties offers a professional service. Tahoe Truckee Vacation properties provided excellent services. The only area where they might be able to improve is getting the facilities ready earlier and being more flexible on arrival times. This is not always under their control, and we understand that. I would highly recommend their services. Lovely and roomy cabin for our New Years gathering with our extended family of 10. Very nice part of Tahoe Donner with nice forest views from the living room. Nicely appointed properties. We have rented for the past 6 years and haven't been disappointed. Nicole was a great help with all our vacation needs. The friendliest property management associate I have ever had the pleasure of working with. I hope to work with her again on our next vacation. Beautiful house with plenty of beds, nice kitchen and a huge patio! The original property that I requested was not available, so the Nicole at Tahoe Truckee Vacation Properties was nice enough to help me find a different property that worked out great for us. Thanks! Family Reunion To Remember! Thank you, thank you, thank you for an incredible stay! We were really happy with our rental. We had everything we needed. We're a family of foodies and we were all impressed with how fully stocked the kitchen was. The layout was perfect for everyone staying on the property too. We especially appreciated the distance to the lake, it was super easy to enjoy a full day of fun and activities. Most importantly, Claudia, our contact at TTVP was fabulous! She was patient, answered EVERY single question we had, accommodated last minute inquiries and extended superb service. We are eager to work with her again to help us book a house for next year! We are so grateful we made this connection with TTVP, as we would much rather support local businesses than go through Air BnB/VRBO etc. and hope for the best. Thank you, again, for a great experience and making our family reunion the best yet! The staff were very helpful and responsive. After living in Truckee for 12 years and family using them and now returning to vacation there, TTVP has always been an excellent company with excellent properties and service! Accommodations were great the only thing to our stay was the parking lot view. Everything else was exceptional. The wide range of choices. It was exactly what we were looking for in a winter holiday rental- affordable, close to downtown, adorable and cozy, yet lots of room for 5 people, yard for kids to play in. We loved the location, and equally important, the location of the unit in the building. You can't beat being right next to a mountain and a stream with zero road noise! We also loved that you could bring your dog, for a small additional fee. I liked that the tenants in the building were quiet, and we really liked that you could open the window in the bedroom (weather permitting!) and listen to the rushing stream all night--so refreshing! I really have no complaints about this accommodation.